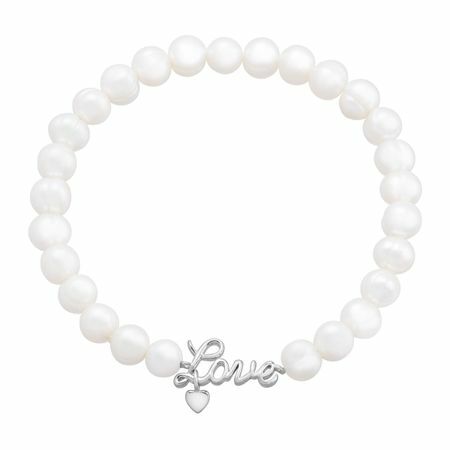 Gift this pearl bracelet to your poised and polished June-born friend! 6-7 mm freshwater potato pearls are strung side-by-side, meeting at a scripted sterling silver 'love' charm with a dangling heart. The stretchable nature of this bracelet ensures that the wearer can slip this piece on or off for style on the go. Piece measures a stretchable 6 3/4 inches in length.